Although the fire that destroyed their home and business may well have also destroyed lesser mortals, Fred and Frances were made of tougher stuff - they simply picked themselves up and got on with life. Fred built his own premises across the road from the burnt out wreck of his business and started again. These premises still exist, now being a late-night fast food store catering for the revellers from the nearby hotels, who can buy a kebab there and then catch a cab home from the taxi rank right outside. Here is a photograph (above) showing the redoubtable Frances at a family wedding - she's second from the left at the back. The photo was taken in October 1909, when Frances would have been about 61. The marriage was between Frances' daughter Flo Waters and Albert Quaife. Albert and another son-in-law, George Wixon, joined Fred's sons George Waters and Frederick Amies Waters as drivers and furniture makers. Wixon and Quaife had also been members of the Queensland Defence Force, based across the road at Victoria Barracks. 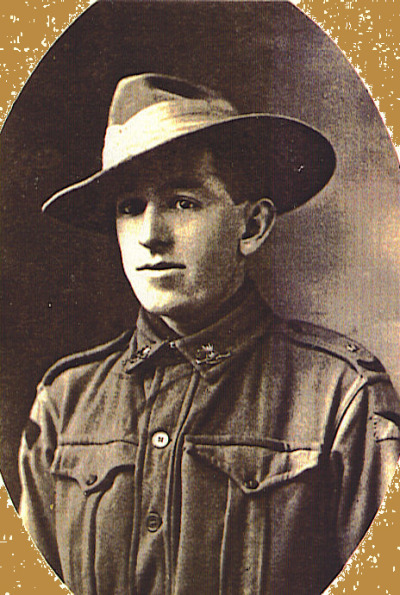 Young Edward, too, had military training as an artillery gunner at the same Barracks, but it still must have been a shock when he asked Fred for permission to join the AIF when the rumblings of WWI were first heard in Australia. Here is his enlistment record, and a photo of Edward in uniform. Look at where this young man was sent - only twenty years old when he landed at Gallipoli on 25th April 1915, he was hospitalised in Alexandria and England before being sent on to fight in Egypt; then he was sent to Europe and endured battles at Frommelles, Ypers and Villers Brettoneux, among other places. It's virtually a list of WWI horror spots. Anthony reports that Edward was exposed to mustard gas in the Somme, causing the loss of a lung. The call to service was strong in the family - George Waters Jr, Albert Quaife and George Wixon enlisted in 1916 and were also sent to France. All returned, although George Jr came back with tuberculosis. Despite his illnesses and the terrible sites of conflict that he endured, Edward survived, and after the war ended, he returned home in 1919. Still in the army, he was sent to Victoria Barracks where all soldiers were meant to be confined because of a Spanish Flu scare in Brisbane at the time. 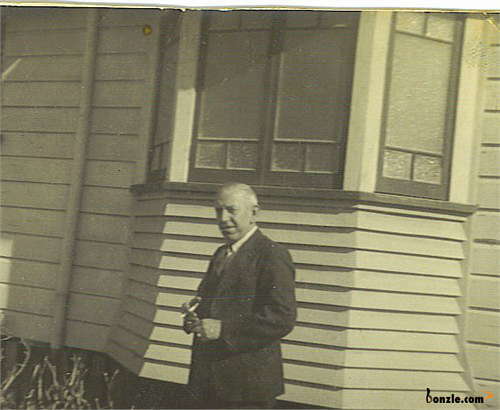 Edward's family home was in nearby Caxton St, so Edward decided one night that he might as well go and see his family. Unfortunately, as far as the army was concerned, this meant that Edward was AWOL. Edward's night off with his family, about 100 metres from Victoria Barracks, cost him two days' detention and the loss of twenty days' pay. He was finally discharged from the army in March 1919. That wasn't the end of Edward's conflict though - Anthony describes Edward as having to fight "tooth and nail" to retain his medical and pension entitlements following the army's eventually unsuccessful attempt to deny them. The old saying "the apple never falls far from the tree" proves apt, as Edward's son Bevan also got into the trucking business. Bevan's son Anthony, the family historian and my correspondent, took over from there and renamed the business Fred Waters Transport in honor of his great-grandfather. The business now specialises in transporting pallets under the name Pink Pallets, and their web page is here - check out the history page there too. The current managing director is Anthony's son Matthew. Well, there you have it. The history of a family that arrived in Brisbane only a decade after the colony of Queensland came into being. They coped with the tragedy of infant deaths, a fire that destroyed their home and business, and sons being sent off to foreign wars to emerge in the twenty-first century with a business still bearing the name of its nineteenth century founder. Their story is compelling, and I'm sure gives us insight into the harsh nature of the lives of our forebears in those early times. It is probably representative of many such stories.